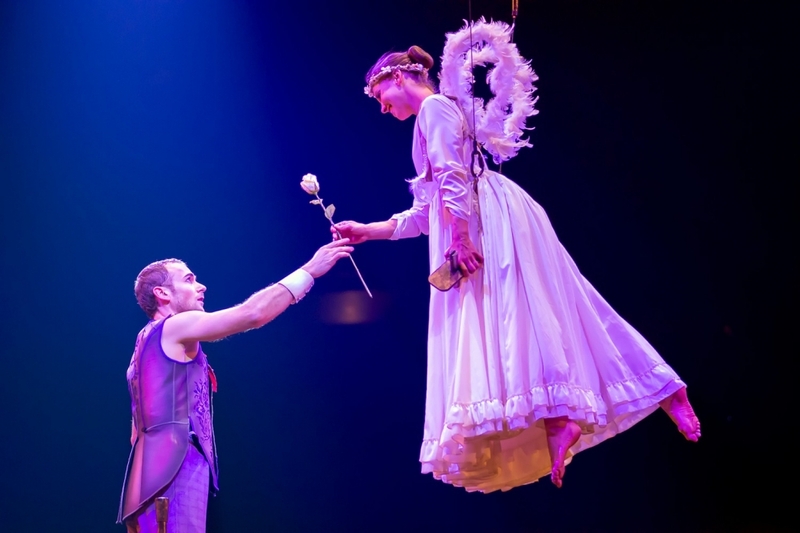 Cirque du Soleil’s “Corteo” is the imagined story of a clown's funeral procession and the space between heaven and earth. New and long-time Cirque du Soleil fans will have six chances to see these world-class performers wow the audience. “Corteo,” translated as “procession” from the Italian word cortège, first premiered in in Montreal in 2005 as a tent performance and was adapted to be performed in an arena in 2016. Now, the show features a rotating stage, which gives the audience a performer’s perspective as well as that of an audience member. This is a first for Cirque du Soleil. Everything from the curtains to the costumes match the carnival theme of the story, an imagined funeral procession of a clown. Caught between heaven and earth, the miniature and the larger-than-life, the clown experiences a dreamlike sequence of events, brought to life by the performers. Watch suspended acrobats, flipping gymnasts, jugglers and more as the cast performs their curated talents in 16 acts, wearing more than 260 different costumes designed and created for the show. For tickets, visit thepncarena.com, and for more information about the show, visit CirqueduSoleil.com.